Even though Ravencult sounds very Nordic, this is Dark Essence Records first signing of a band from outside of Norway. 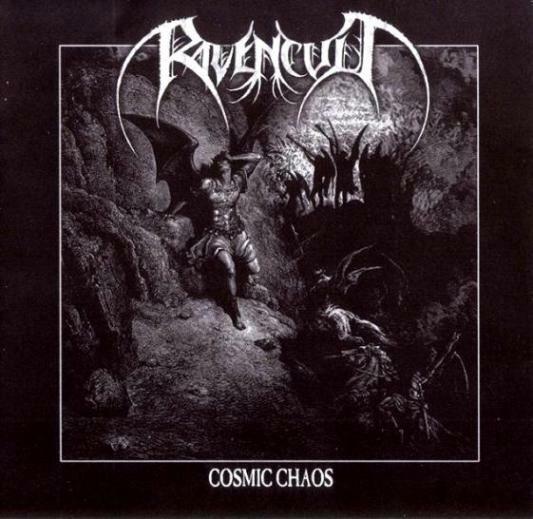 Ravencult stands for traditional, old style Black Metal since their formation in mid-2001. Originating from Athens, Hellas, they have gradually developed their sound to become a crossing between the first and second wave of Black Metal. From the very first demo up to this day, the band remains focused in delivering straightforward Black Metal heavily influenced by the Nordic sound and its godfathers, namely Bathory and Celtic Frost. In late 2005 they traveled to Norway in order to record their debut album at Mølla Studios, Eskeland, with Knut Magne Valle (Arcturus) as producer. Responsible for the artwork design is the infamous US artist and member of Sunn O))), Khanate etc, Stephen O'Malley. This album, entitled “Temples Of Torment”, led the band in gaining a record deal with Dark Essence Records Norway. Ravencult is a live act and throughout the years of their existence they have shared the stage with important acts of the black metal milieu like Aura Noir, Mayhem, Carpathian Forest, Rotting Christ, Behemoth, Arcturus, Impaled Nazarene, Ancient, Varathron.